The members of the Tahi Family are listed on the other side of this driveway, but this is the gist of it. Either J or E was probably the dog. I can’t help it that this mark reads “4. Thanh”who can explain? 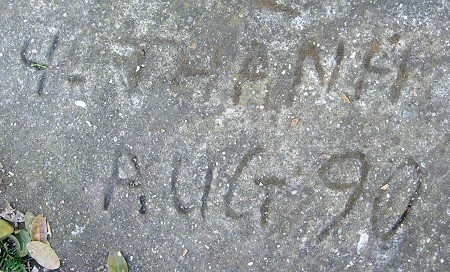 This is a nice find, the earliest mark yet by Burua Concrete and the first 1990 mark made with a contractor’s stamp (the other one is a plain date). 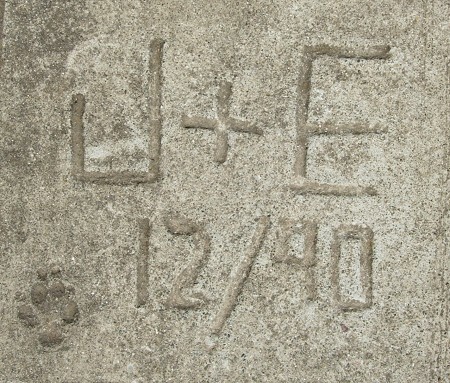 This bold date marks the back entrance to the 1st Presbyterian Church, although no maker was indicated.